Rám modelu Premium je z chirurgické oceli s ramínky z karbonových vláken, které střelci umožňují upravit jejich tvar tak, aby dokonale obepínal hlavu a zajistil stabilitu na obličeji. Nosní sedýlko umožňuje přizpůsobení shora dolů a dopředu a dozadu od obličeje. Vzory skel na výběr: 1-3-4-5-6-7-8-9-10-11-12-13-17-19-20-23-24-25. 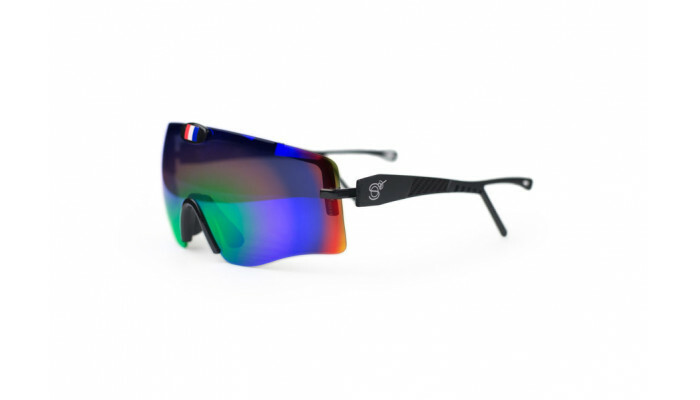 Transparent lenses Shootoff Master are lenses designed for a usage in case of low luminosity. 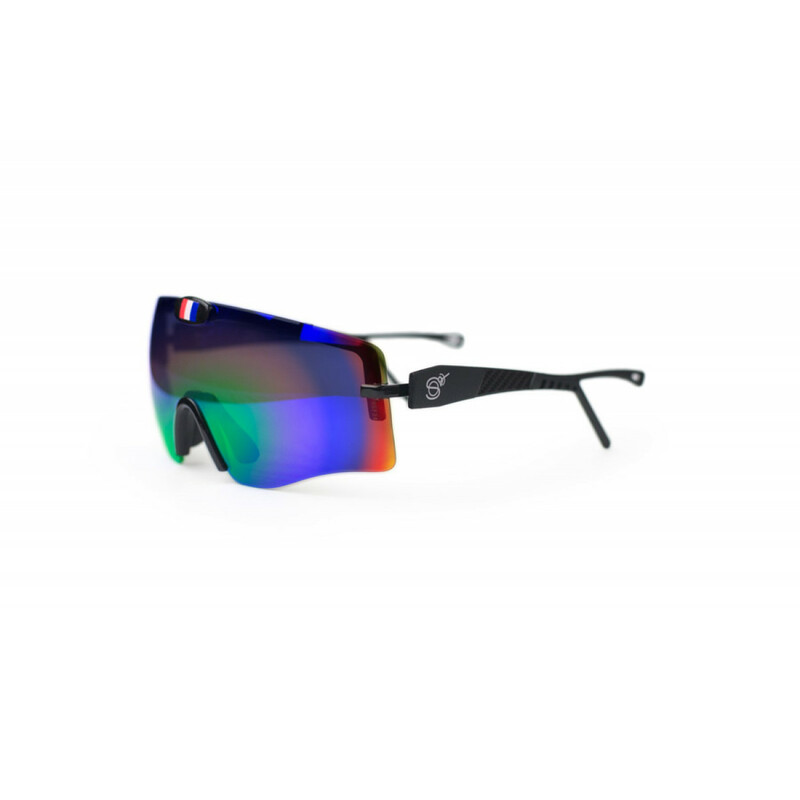 These lenses will allow you to improve the contrast, to strengthen the bright colors and protect you from the rain and from the wind. Yellow Light lenses have to be use during low luminosity. These lenses increase strongly the contrasts, get an excellent perception of the depth by cloudy time, fog, nightfall, day rise. Strengthen the yellow and Orange colors. Parma lenses have to be used from low to moderated luminosity. These lenses improve the contrast by neutralizing the background (sky and grass). They avoid in particular the inconveniences of the frequent bright variations. Furthermore, you will have a better perception of the outline of targets while strengthening the orange and yellow colors. Light Orange lenses have to be used during from low to moderated luminosity. These lenses clear up your vision, increase the contrast by fog, ideal at dawn and nightfall. Furthermore, you will have a better perception of the relief and the orange and yellow colors will be strengthened. Red Vermilion lenses have to be used from low to moderated luminosity. They increase the relief and image definition. They will increase very strongly the yellow and orange colors, while bringing you a better perception of the outline targets (yellow, orange, red). Purple lenses have to be used from medium to strong luminosity. These lenses will neutralize the background (blue or green), avoid the inconveniences of the frequent bright variations, strengthen very strongly the yellow and Orange colors. Red Sol lenses have to be used from moderated to strong luminosity. They protect effectively against the period of sunshine while strengthening the perception of the orange, yellow and red colors.These lenses will increase in particular the relief and the image definition while neutralizing the background. Rose Super Sol have to be used from strong to very strong luminosities. 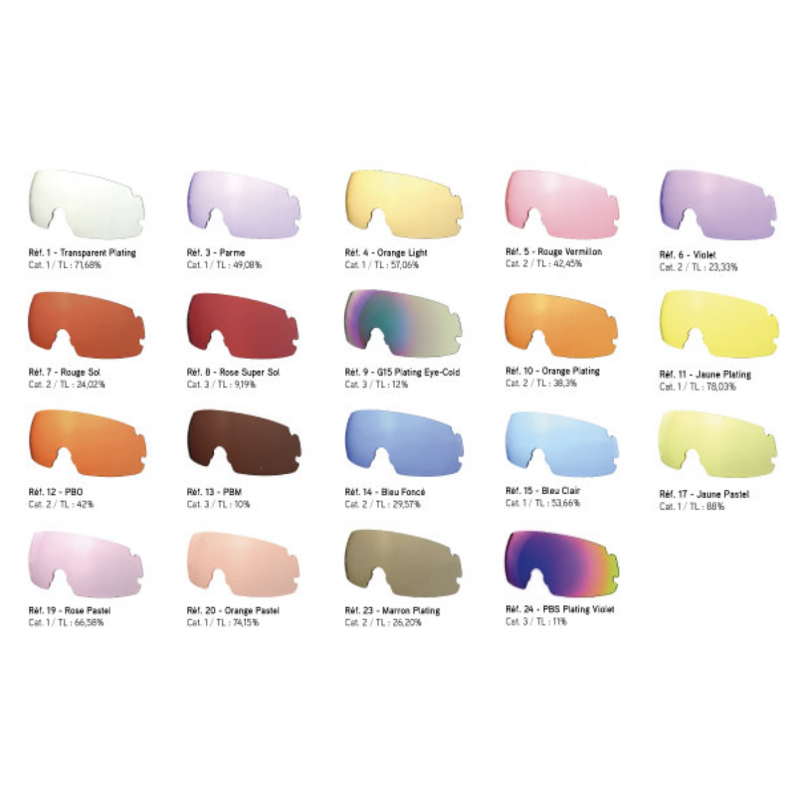 They protect effectively against the period of sunshine, while strengthening the perception of the orange, yellow and red colors.These glasses will increase in particular the relief and image definition while neutralizing the background. G15 lenses have to be used from strong to very strong luminosities. They increase the contrast and the relief of the bright colors (yellow and orange) against the blue of the sky and the green of the grass. They reduce in particular the light intensity while respecting the natural transmission of colors. These lenses have a relaxing effect by strong sunlight and fight effectively against the dazzle and the fatal effects of the blue light, besides being anti-reflective. Orange Plating lenses have to be use during moderate luminosity. 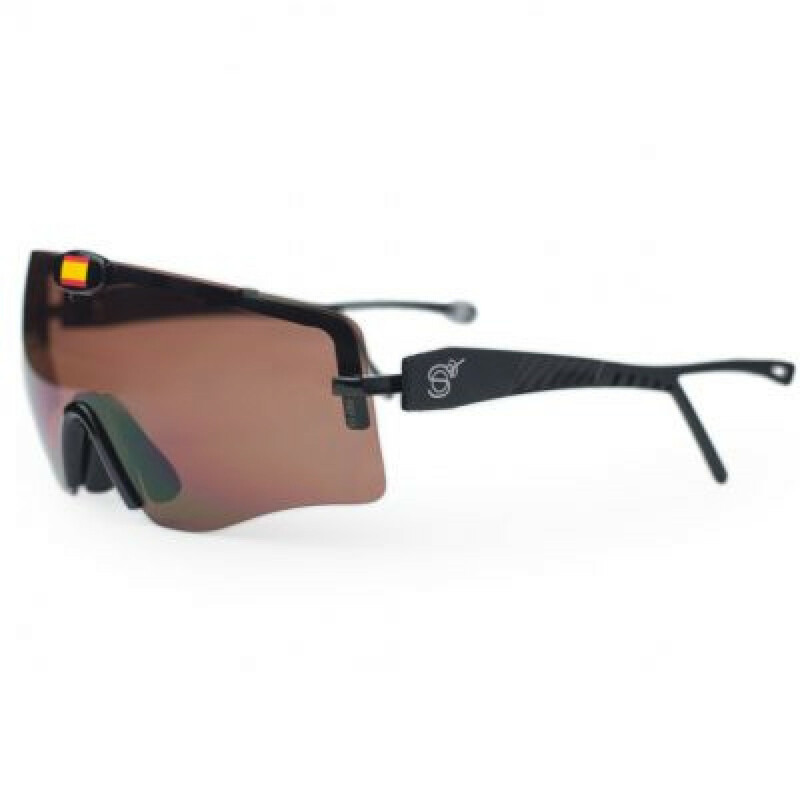 These lenses increase the contrast by cloudy and variable weathers and avoid the inconveniences of the frequent bright variations. They strengthen in particular the orange and yellow colors. Yellow plating enses have to be use during low luminosity. These lenses increase the visibility of the contrasts by fog or greyness. They strengthen in particular orange and yellow colors. Orange PB have to be use from low luminosity to moderated. These lenses bring an important visual comfort. They increase image definition and the contrast, improve the perception of the yellow and orange colors. In particular anti-reflection, these lenses are designed to relax the eye in conditions of moderate sunlight. Brown PB lenses have to be use from strong to very strong luminosity. These lenses were designed to relax the eyes in conditions of strong dazzles due to an intense luminosity.With a perfect reproduction of colors, these lenses improve the perception of the yellow and orange colors. Dark blue glasses have to be used from medium to strong luminosities. They improve the yellow color while limiting the red colors. They are in particular a relaxing effect by strong sunlight. Light blue lenses have to be used during from low to medium luminosities. They improve the yellow color while limiting the red colors while having a relaxing effect. 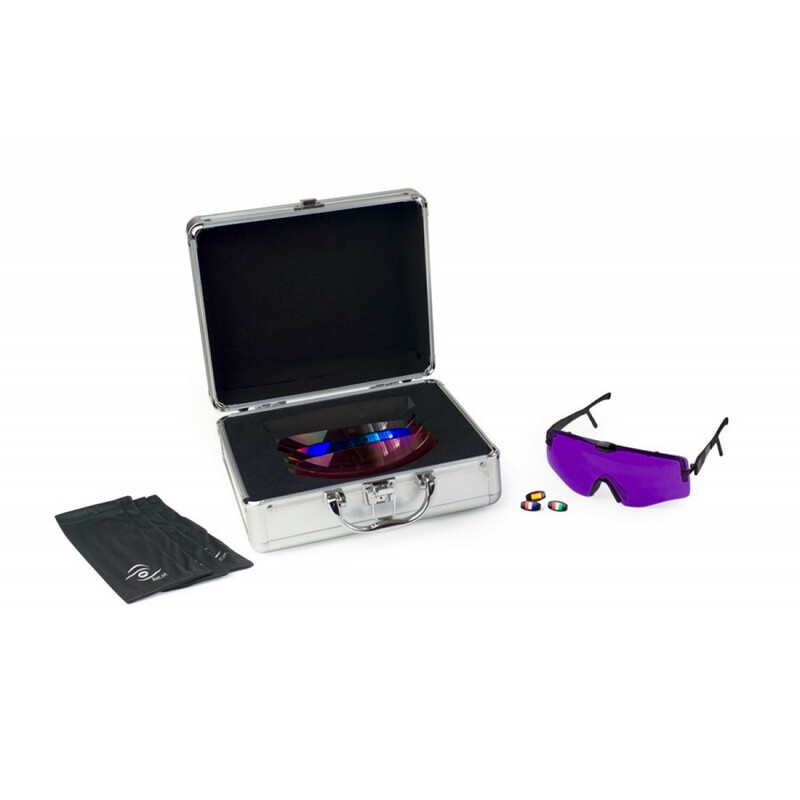 Pastel blue lenses have to be used during from very low to low luminosities or Indoor. They clear up the vision and improve the yellow color while limiting the red colors. They are in particular a relaxing effect by strong sunlight. Parma Pastel lenses have to be used during very low luminosities or Indoor. They clear up the vision and increase the contrasts by cloudy weather, nightfall or in undergrowth.These lenses are particularly adapted to Indoor. Pastel Rose lenses have to be used during very low luminosities or Indoor. They clear up the vision and increase the contrast, improve bright colors (yellow and orange), the relief and the perception of the distances.These lenses are particularly adapted to Indoor. Orange Pastel lenses have to be used during very low luminosities or Indoor. They clear up the vision, improve the perception of reliefs while protecting slightly from the dazzle. Ideal for undergrowth and fog, greyness weather. These lenses are particularly adapted to Indoor. Orange Winter lense have to be used from very low to low luminosities or Indoor. They clear up the vision, improve the perception of reliefs. Ideal for undergrowth and fog, greyness and Indoor. These lenses are particularly adapted to Indoor. Green Pastel lense have to be use during very low luminosities or Indoor. Clearing up the vision, these lenses improve the perception of reliefs, by protecting slightly from the dazzle.Ideal for undergrowth and fog, greyness, IndoorThese lenses are particularly adapted to Indoor. Brown Plating lenses have to be used during strong luminosity. These lenses increase the contrast in conditions of strong sunlight. They fight effectively against the dazzle and the fatal effects of the blue light. 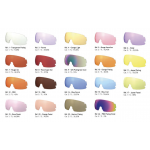 Furthermore, these lenses improve the perception of colors, particularly the Yellow and Orange. ► Strengthen the contrast with the bright colors (yellow, Orange). ► Protect from the dazzle while respecting the balance and the natural transmission of colors. ► Restful and relaxing effect. ► Protect fatal effects of the blue light. Střelecké brýle pro brokovou střelbu.